Proven data mining services to create accurate business oriented email address list to get essential data to optimize effectiveness of email marketing campaigns. BrainPulse brings to its clients an incredible opportunity to strengthen the effectiveness of their email marketing campaigns with our highly affordable data mining services. Our data mining services are open for clients coming from varied industries including telecom, insurance, banking, retail and more. Our data mining services help you attain rewarding engagement with your customers. Our digital marketing team consciously extract and capture data from various genuine websites, which incorporate lists of contact information, business list, email addresses and other required information. The information gathered further help businesses to increase their sales, add more clients and have concrete, fruitful mailing list. We have excelled in tracking difference between mining data and mining accurate data. We have devised a comprehensive program for your requirements and anticipated results. We have a team of professionals who know the ideal way to analyze accurate data from different perspectives. Post analysis, these experts validate the data thoroughly and then diligently deliver the abstract in the format of your choice i.e. CSV/database/ excel etc. BrainPulse India is an enthusiastic Email Marketing Company dedicated to offering the advanced solutions, software, and services in the domain. By offering email address data mining services, the company is aiming at assisting businesses to get essential data to optimize effectiveness of email marketing campaign to deliver the added numbers in ROI. 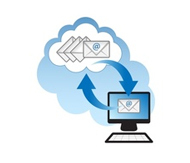 Come to us for absolute, critical, timely delivered, confidential and pocket-friendly email address data mining services. To know more about our services, speak with our sales representative today!